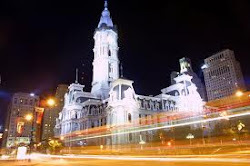 PHILADELPHIA - Thursday is a somber anniversary in the city of Philadelphia. It marks one year since that deadly duck boat accident on the Delaware River. Two Hungarian students were killed last July 7 when a barge ran over the "Ride the Ducks" tourist boat. The two students, 16-year-old Dora Schwendtner and 20-year-old Szabolcs Prem, died when a city barge being pushed by a tug collided with the stalled duck boat. The crash also dumped 35 others aboard the boat into the river. Ride the Ducks of Norcross, Ga., has suspended operations in Philadelphia on Thursday to mark the date. In its final report, the National Transportation Safety Board largely blamed the tugboat's mate. The NTSB says he was distracted by repeated use of his cell phone and failed to maintain proper lookout while towing the barge up the Delaware. The victims' families have filed wrongful-death lawsuits against the city, the operators of both vessels and others. Fox 29's Steve Keeley was live along the river Thursday morning to file this live report.